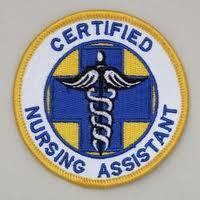 A certified nursing assistant's top priority is to support the physical and emotional daily-care needs of a patient. CNAs work under the supervision of nursing and medical staff. While much of the work—bathing, dressing, feeding, recording life signs—isn't as fancy as some other positions, it is the position that often makes the greatest impact on the patient because CNAs often have the most patient contact. Home health aides have a particularly important role in patients’ lives, as they provide care for elderly, disabled, or convalescent persons in their own homes. To become a CNA, you will need a high school diploma or GED. Then you can take a 2-6 month course through a local trade school, community college, or local hospital. Training times vary from program to program, depending on the requirements of the state and the area in which you plan to work. Classes include basic health care, personal care skills, anatomy, body mechanics, nutrition, and communication skills. CNA students also have some work in a clinical setting. Much of the CNA coursework is designed to help students pass the mandatory state certification exam. The exam focuses on the 21 competencies for nursing aides that are laid out in a federal law. These include areas such as reading and recording vital signs, maintaining a healthy environment, following emergency procedures, and safe transfer techniques. Once the certification exam is passed, your name is added to the state’s Nurse Aid Registry, and you are ready to start your new career! And it’s a great field to join, with the number of positions for all nursing aid and assistant occupations expected to grow by more than 27% through 2014. Home health aids are particularly in-demand – in fact, the U.S. Bureau of Labor Statistics lists home health aid as the fastest-growing occupation in the U.S. Nursing aides, orderlies, and attendants earn about $10 per hour on average, but the highest 10% earn more than $14 an hour. Home health aides earn almost $9 per hour on average, with the highest 10% earning more than $12 per hour. With more experience, CNAs can increase their earnings. To learn more about how to become a CNA (Certified Nursing Assistant), request information from one of the schools listed below. Programs are available in many states as well as online.